Retirement is a huge milestone in anyone’s life, but it doesn’t mean the fun is over! In fact, many residents at the exciting community of Silverado Village would say it’s only just begun. The homes at Silverado Village are designed for seniors who are looking to fulfill their lifelong dreams and passions in an engaging and social environment. Situated in the vibrant city of Placerville, Silverado Village is close to shops, historical points of interest, and a variety of different restaurants. Residents can visit more than fifty local wineries and enjoy a day of sipping reds with like-minded peers from their very own neighborhood. The area also offers various museums, art galleries, antique stores, and an assortment of entertainment throughout the year, including music concerts, farmer’s markets, and art shows. There are also tranquil walking paths and picturesque surroundings to admire for those who are looking for a more relaxed and slow-paced atmosphere. Not only are there endless things to do outside of the community, there is plenty fun located right next door. Residents of Silverado Village have exclusive access to the Eskaton Lodge and the homeowner Village Center which has top-shelf amenities including a spa, a fully-equipped fitness center, billiards, and a multi-purpose room for arts, crafts, or even a favorite card game! This is an excellent communal area where residents can socialize and partake in new hobbies or enjoy old pastimes together. Residents also have priority access to the indoor heated pool, where they can take water aerobics classes, or the cozy Bistro Cafe, where they can meet friends for coffee and breakfast. With free time being spent on fresh hobbies and blossoming friendships, there is simply no time for maintaining yards or landscaping, and at Silverado Village, residents don’t have to! All exterior outdoor maintenance is taken care of by a high-quality, professional grounds crew, including rain gutters, painting, watering, and mowing. Assistance can also be offered for in-home household issues, such as changing of light bulbs or replacing of air filters. Each home features no-step walk-in showers, recessed lighting on all walking paths, as well as emergency pull-cords and remote pendants for added reassurance. 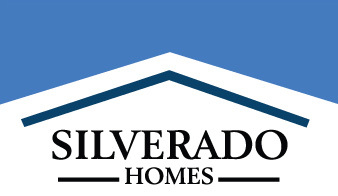 Silverado Villages consists of 113 homes with nine different floor plans that range from 1,217 to 1,590 sq. ft. The homes are all single story and are built with a high level of efficiency, exceeding California energy efficiency requirements by more than 18% with features that include R-8 duct insulation and tankless hot water heaters. The sales office is located at 3741 Eskaton Drive and is open daily from 10:00am to 5:00pm and on Wednesdays from noon until 5:00pm. Feel free to stop in and visit with us about this delightful and welcoming community or tour one of our professionally decorated model homes!